Being complicit in the criminal prosecution of protected persons for committing misdemeanors or felonies that stem from legislation enacted by the Hawai‘i County Council, which would appear to be in violation of 147 of the Geneva Convention where protected persons are prohibited from being unlawfully confined, and cannot be denied a fair and regular trial by a tribunal with competent jurisdiction. Finally, a legislator who is aware. An epochal account here on the proceedings of the Hilo, Hi. City Council seeking clarification on law violations. Mr Kamelamela needs to apprise the Council and the community on the procedural function of parliamentary law that he is following in his counsel to the City Council. He cannot rely on glib answers in a deliberative assembly seeking legal advice. He is required to conduct the duties of his office in a professional an ethical manner. Oh, wow! I could barely contain myself while reading this article. This saga just keeps getting better and better. Way to take them task, Jen, and to hold them to the standard they set for themselves, and have long ignored! This is great news for all who practice integrity, and an open door for truth to prevail. WooHoo! Joe Kamelamela’s inept response to Council Member Jen Ruggles request is definitely unacceptable and an example of his dereliction of duty in his capacity as Corporation Counsel. 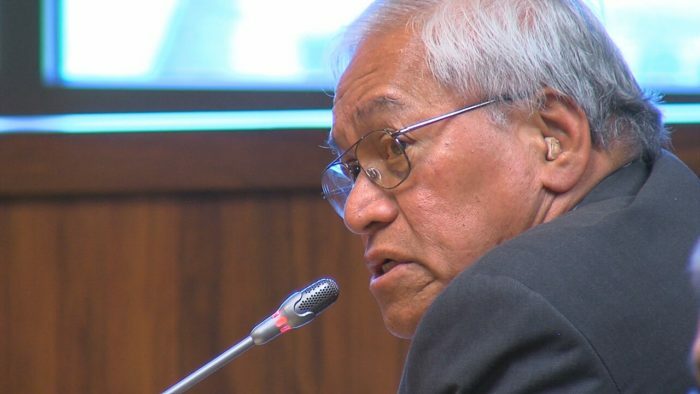 It’s not as though Corporate Counsel Kamelamela had to do exhaustive work in order to determine whether the State of Hawaii is in violation of international law. All he needs to do is to prove that the sovereign continuity of the Hawaiian Kingdom was extinguished. If there is no evidence that the sovereign continuity of the Hawaiian Kingdom was extinguished then he must comply with the U.S. supremacy law regarding treaties and compacts with foreign states. Mr. Kamelamela’s response should not be relied upon by any council member in order for them to make an informed choice. I think Council Member Ruggle’s question should be brought before all the council members of all the different counties. Are you commiting war crimes within Hawaiian jurisdiction? Their admission seals their fate! If they’re not sure, then the liability moves to Corporation Counsel. If they all get it wrong then the all go down! If more members were to realize the seriousness of war crime violations and choose to refrain from doing business as usual the State of Hawaii will suffer a crippling effect and will have no other option but to comply with the law of occupation. Aloha Kanekeawe, I took you up on your offer on August 18, 2018 at 8:00 a.m. mahalo for that invite. The Writ of Mandamus is very clean and very tight on wiggle room. It’s unfortunate that only a few are properly aware of Hawaii’s painful history. It’s one thing to help the uninformed and yet another thing to correct the misinformed. Imagine that though on a massive scale! Wow! The sprit of confusion can be overtaken by the spirit of knowledge and comprehension through prayer. 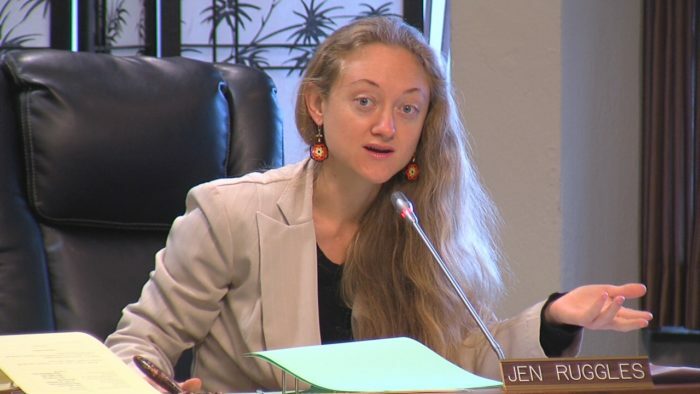 It’s pleasing to see that council member Jennifer Ruggles has taken the proper steps to ascertain information concerning the sovereign continuity of the Hawaiian Kingdom through her own due diligence and with respect to her capacity as a representative of her constituents. She is truly a representative of her constituents! Mahalo again for coming into agreement with me on 8/18/18, and to all who came into agreement with us, it is greatly appreciated!! Yep, just as I suspected a non response as his response. It’s obvious he doesn’t care and is going to play it off until her term expires. I liked that Mr. Laudig cc’d his letter to the entities he did. It shows them the incompetence and bias of Mr. Kamelamela as an attorney representing the occupiers gov’t. 100X worse than that of DOJ Attorney John Yoo. Makes him a definite candidate for war crimes. Can you explain how Kamelamela is accountable for War Crimes? After all all he has done was give his legal opinion to the inquiry of legislator Jen Ruggles. Jen Ruggles she’s a sneaky one eh? How’s Attorney Yoo doing? Is he still in jail? Paragraph six and seven explains his accountability. He did not provide a legal opinion he made a conclusory statement trying to pass it off as a legal opinion. He will never provide a legal opinion with analysis of the factual and legal elements of the problem and use of methods and procedures meeting the standards of competent practitioners. He can’t, it’s impossible, going any further would only be self incriminating. So what do smart crooks do? They plead the fifth and remain silent. While there are (3) types of TRUTHS. Political Truth = if incessantly repeated enough people will eventually believe it. “Hawaiʻi was colonized”, “Hawaiʻi voted statehood in 1959…”, “If wasn’t for usa….blah blah blah” “just another sovereignty group”. Personal Truth = If YOUR belief is that ʻHawaiʻi is the 50th stateʻ…thatʻs fine just donʻt force it on any one else. OBJECTIVE TRUTH = No one result is true, unless verified! The questions and concerns are valid IMO, Objective truth required, not political, not personal. Shouldn’t the Hawaiian Kingdom Government Start Educating the General Public On “What Is The Hawaiian Kingdom Law” ? In a way for everyone to understand. And What kinds of Impact it will have on the Hawaii that we know of Today, How Is It Going To Change our Landscape ? The People have a right to know. Everyone should educate themselves on HK Law… and everyone should own a copy of the HK constitution. The government should definitely make it available for everyone to purchase and own. As far as how things will change, what is your concern? Maybe we should face the reality, whatever they may be. Countries around the world do not live up to the American standards economically and financially… maybe we should accept this idea too. We are independent and must figure a way for ourselves. As of the moment we just need to accept that there may be some changes coming or you can migrate to America…. like everybody else. So how do we get these bullheaded Americans to admit that the HK is occupied? Whistle blower Jen Ruggles has helped a lot by stating that her fellow members are ‘aware’ but chose to keep silent. Talk about turning up the heat a notch. Anyways what now… what’s the next moves…. would love to hear your opinions. Kaulana you sound like you don’t even know what Independence is. You sound like a dependent. Your a trouble maker. Your full of BS. well Hawaiian Kingdom. Its your Turn now. Practice what you Preach. Tell Us What are you Talking About Hawaiian Kingdom Law. I Going Call your Bluff. What Cooperate America going finally be held Accountable From Profiting off Hawaii for all these years. Heaha ? What Hawaiian Kingdom, What is Hawaiian Kingdom Law? What Is Hawaiian Kingdom Law? This is all kinda like waiting for the next episode of a hit tv series! I’m dying to see what happens next!!! Go to Hawaiiankingdom.org and click on the tab with constitution and statutory laws. You should be able to find the HK civil code, penal code and sessions laws. I would urge all Hawai’i legislators and administrators at county, state and federal levels to ask this question of their government level counsel to advise if they are committing war crimes by drafting legislation under U.S. or Hawai’i laws and then enacting them into laws imposed on Hawai’i residents. Do this to protect your rights and to determine if you are violating your oath of office. You are involved in a long term illegal occupation of Hawai’i by the United States of America. Continuing to legislate, now that you know of the illegal occupation, makes you liable to be charged with war crimes. History has provided many examples of what happens to those that knowingly commit war crimes. Jen Ruggles has shown the courage to act on her conscious and with the life experience to do what is right. okay, now i starting to catch on, By The Grace of God, Choosing the Next Hawaiian Monarch, Head of State Is 1 of The Next Biggest Challenge We Face as a Hawaiian Sovereign Country. Big World Wide Party On That Day. Ready or Not We Destined For That Day Some Where In The Future. This whole exercise is to expose the occupation in order to gain the support of the international community to help regulate it through the de-occupation process while we elect a legislature to kick start our de jure gov’t. Then ho’olaule’a!!! why would progressive people of today elect to be subject/slave to monarchs? the world is trying to rid of oligarchies and hawaiians want monarchies? why not self govern? Since the creation of the Hawaiian Kingdom’s constitutional monarchy in 1843 the Hawaiians were never oppressed or enslaved by their monarchy. Take your own philosophy and govern your self and leave the Hawaiians to govern themselves. Stop trying to impose your beliefs on others. Just Needed To Say 1 more Thing. A Big Word of Advise To Every One Out There Especially To The Hawaiian Kingdom Government “my vision seems to be showing me this knowledge”. In a Time and Place That We Are In Now. A Queen may bring more Stability than a King. The People Maybe More Stable Excepting a Queen instead of a King. Giving it a Lucky guess a Queen going make our country more stable. Hawaiian Kingdom Government. Please Take This Into Consideration. Did you ever take into consideration we might not have a monarch? The Hawaiian Kingdom government does not practice “political correctness.” Doing so is a destiny towards failure. Are you talking about the one and only HKG or a pretender/usurper calling itself the HKG? Technically it’s the ‘acting’ HK government. Its written right there on the Hawaiian Kingdom Government Web Site. The Letter From United Nations Dr. Alfred M. dezayes , the lawful political status of the Hawaiian Islands is that of a Sovereign Nation State in Continuity. Definition of Sovereign 1. a supreme ruler. especially a Monarch. I think you misread. Dr. Dezayes defined the political status of the Nation state in continuity as Sovereign. A Sovereign ruler is an individual not a state. This is where a lot get confused with because the illegal overthrow was that of the Sovereign ruler and her gov’t.. You can get rid of a Sovereign ruler/gov’t it does not mean you took possession of that state’s sovereignty. Here’s a question for you. In HK law the Monarch personally appoints the House of Nobles for life terms. The House of Nobles is the body that confirms the next Monarch that was named successor or if the monarch did not confirm a successor then the house of nobles selects a new candidate. Since there is no confirmed successor who can be the monarch to appoint the House of Nobles and no House of Nobles to name a new candidate for Monarch how do you get that Monarch without violating HK law????? according to international law’s a corporation cannot annex a nation ! Also a bankrupt government cannot annex a nation with wealth. The ” Act of 1871 ” is what’s it known in the congressional records is when the United States incorporated was established and recognized . Fact that the United States was a corporation before the annexation . The United States government was bankrupt , this is why it became a corporation . now everything the United States government did that affected the lives of the people living in hawaii was and is illegal . The FDA ,FCC, Federal reserve ,FDA , etc. The heir or in this case heirs of the body needs to repay all the funds stolen and damages plus interest which they can’t . any country that received funds from the IMF would also owe hawaii because they use illegal stolen funds . The world would owe hawaii something . now because of this they will never give back what was stolen ! US is a foreign, for profit corporation, not a government….much like Walmart of Honda. It has no jurisdiction. Jennifer Ruggles; waves political sign. But if the person she is campaigning for wins… then she can’t legislate since then she may be committing war crimes. And in the mean time, as a property owner in upper puna. I am being taxed with no representation. If you are paying taxes to the County then you are a victim of the war crime of pillaging. Jennifer Ruggles is representing you as a protected person that is being illegally taxed not only by the County, but also the State and Federal Gov’t. Not sure if this is in line w/ what u r speaking about, but IMHO, Kanaka are Sovereigns upon their Kuleana Titled lands. Those titles are untouchable even by the highest authority, thus, they are the absolute sovereign. However, in the “person” sense that you speak of, they are also included by their country as a member of a larger community, off of their Kuleana land. Different hats, different titles. Sovereigns, people. They can exist separate and simultaneously. As for your comment about monarchies. Just nonsense. Hawaii is not an absolute monarchy, rather a constitutional monarchy. There is no comparison to the ideal that you attempt to “shop”. In fact, the people today (Kanaka) are still benefiting (as the benefactors of the former royalty) from the monarchs of yesterday. That’s not something you can readily point to to past monarchies in former countries around the world. So, please stop vilifying it.